A legend on the international backpackers's circuit, Dili Backpackers is a hub for travellers, situated in downtown Dili, a short walk from the beach. Friendly staff share a wealth of information and advice on getting around and seeing the sights. Range of simple, reasonably-priced accommodation. Two restaurants and a cool beer garden. Com Beach Resort is a great place to stay in the Districts of Timor Leste. 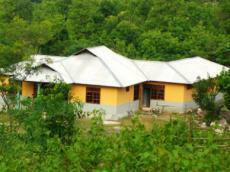 Located in the Lautem District (5 Hours from Dili). The hotel is your place to stay for access to Jaco island (1.5 hours from Com). The Venture hotel is one of Dili best Budget Hotels offering Single / Twin / Bunk Bed Rooms and also Single Rooms with ensuite. The Hotel offers a good restaurant with refreshing Pool for a quick swim after a hot walk around Dili. Locted in Bidau Lecidere which is a an excellend quiet location to many restaurants, banks, parks and the sea side. So please come and join us for your visit in Dili and meet our informative and helpfull local staff. Thank you for choosing to stay at Barry’s Place on Atauro. We hope you enjoy your stay with us. We look forward to meeting you, and helping you get to know our island and our local culture. We offer accommodation on Atauro Island with all meals included in the cost. We have a range of accommodation from Tents to Bungalows and Gazebos. 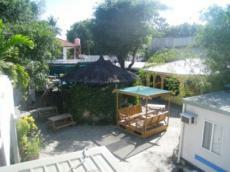 We have sun-drenched thatched cabins right on the beach. The hotel has a relaxed setting, hemmed in by spectacular limestone cliffs, with a river suitable for swimming (depending on rainfall) within walking distance of the hotel. There is a waterfall in the nearby community, along with limestone caves which the hotel can organise tours too. We are also developing links to regional attractions such as the hot springs in Venilale, and visits to Ira Bele and Mundo Perdido for tourists that are staying for more than one night and want to get out and explore. 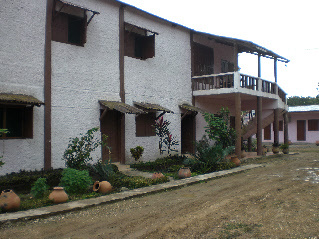 Hotel Roberto Carlos is Located in the District of Los Palos. It is the best hotel in this area for accommodation and visiting Tutuala (Jaco Island). A welcome reception awaits you in this hotel with secure rooms, attention to detail and superb dining ! The rooms are simple and include complimentary laundry and Satalite TV. Great for people on a budget. 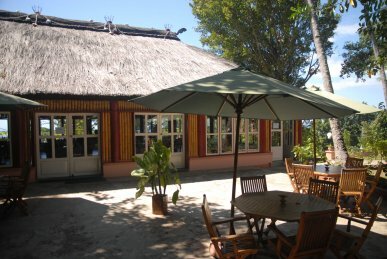 The Pousada de Baucau is a very well established hotel located in Baucau township. Offering excellent rooms and a fantastic restaurant. The hotel is usually quiet and is a great hotel just to relax. 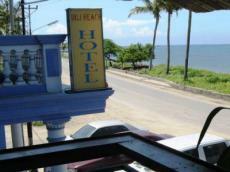 Dili Beach hotel is one of the most popular relaxed hotels in Timor Leste. All rooms are of a larger than most size with stunning views from the Restaurant overlooking the water. 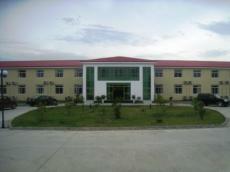 Located with in 10 min Drive to all local sites and Goverment Office locations. Great place for a relaxing and cheerful stay. Dili Beach hotel offer Free Airport Transfers and Breakfast. 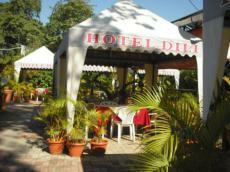 Hotel Dili is a great choice if you are looking for outstanding comfort and convenience. Set in a pretty location right on the seafront boulevard, handy for banks, restaurants, shopping, beach and government Offices. This friendly, family-owned hotel has a good range of rooms to suit all budgets. The Timor Plaza Hotel & Apartments is Timor Leste's newest and only truly 4 star Hotel. Some Apartments are open and booking can now be made (SOFT OPENING ONLY). All details will be updated as we gain more informaiton. Please email us with any enquiries and we will get back to you ASAP. Discover Dili's hidden paradise in this sumptuous Hotel in the heart of Dili !!! A recently-renovated, two-storey hotel, Discovery Inn's comfortable and stylish rooms all have ensuite bathroom and sitting area. 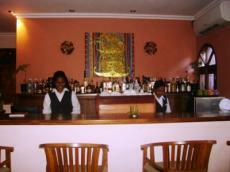 The non-smoking restaurant is a favourite with Dili's government and business community. Highly professional service, gourmet Western and Indian menu. One of the best Hotels available in Timor Leste. Excelsior Resort is located only 15 minutes from Presidente Nicolau Lobato International Airport, Timor Leste and is one of Timor Leste's newest resort/hotels. Excelsior resort offers gracious hospitality, luxurious guestrooms and exceptional conference facilities for groups of up to 60 guests. 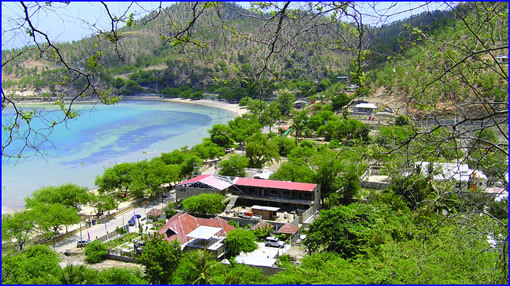 Within Easy Driving Distance from our Excelsior Resort/Hotel you can discover all the attractions Dili, Timor Leste has to offer including white-sand beaches, fishing, diving and excellent restaurants. 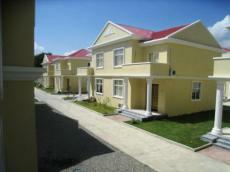 Beach Garden Estate is Dili's newest premier accommodation. Featuring Deluxe Hotel rooms and 2 Bedroom apartments. Located on Panti Kalapa (Ocean Road) enjoy the sea breeze/ocean views from the Restaurant or relax in your well appointed accommodation. Opened in December of 2010. Come and enjoy today you will not be disappointed. The Beach Side Hotel is OPEN. Only hotel in Dili to be located on the Beach. 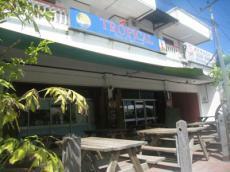 The Hotel is consists of 6 upstairs rooms with the best view of the Harbour and Atruo Island. There are also 10 Rooms located in the rear of the building which again are of a fantastic size and will be a pleasure to stay in. Located in Rua Area Branca Meti - Aut, Dili (Best Beach Area in Dili) the area is Extremely quiet area everyday of the week except on Sundays where local and expats conjure to relax for a swim and a few drinks. The hotel also a cafe style breakfast and lunch menu which is getting great reviews. Wake to the sunrise in one of the premiere boutique hotels in Timor Leste. Located on the beach, Hotel Esplanada has a sweeping view of the bay. Accommodation on two storeys, arranged around a swimming pool set in tropical gardens. Upper deck restaurant catches the sea breeze and has a laid-back ambience, perfect for sipping a cocktail or a cappuccino and watching the world drift by. Tibar Beach Retreat is a brand new Botique hotel offering just 6 exclusive, individual Bungalow rooms. Located on the costal Mountians at Tibar with magnificent views Atauro Island, Tibar Bay and Blue Ocean. Dine at the “Ximangane Restaurant” from the carefully chosen menu of premium fresh food of the day. 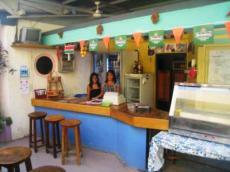 The restaurant has the most wonderful breeze being one of the most spectacular view available in Timor Leste. A must for any traveler or local alike. The restaurant also has a balcony where you can enjoy your favorite refreshment while the sun sets. Executive Bungalow is tastefully decorated with a blend of Timorese, Bali and Australian furniture. Arbiru Beach Resort has now become one of the best established luxury hotels in Dlii, Timor Leste. Located on a beachfront location with a large swimming pool. Accommodation comprises one bedroom, open-plan lounge and kitchen. 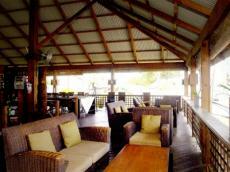 Bar and restaurant with stunning panoramic views, international menu. Two well-equipped conference rooms. Diving in Timor Leste is simply fantastic, a great reason more and more people choose to travel to East Timor. Great visibility in the dry season and warm tropical water the whole year round are guaranteed here. Explore an unbelievable variety of pristine, live coral and aquatic species while drifting through the underwater canyon between the mainland and Ata’uro. Let Dive Timor Lorosae take you on an dive adventure your will never forget! As Timor Leste’s only PADI dive centre, professional and friendly staff are waiting for you to come and explore some of South East Asia’s most spectacular and virgin reefs. With km’s of walls dropping off into deep blue sea and acres of untouched reef Timor Leste offers the adventurous diver the opportunity to explore the un explored. Dive Timor Lorosae offers tailored dive charters and safaris for 2 to 16 people. Sick of diving and seeing more divers then marine life? In Timor we pride our selves on keeping dive groups small and personalized. From Boat charters to shore dives, Dive Timor Lorosae offers you the chance to dive all of East Timor with two established dive centres (Dili and Com). Dili is the gate way to Atauro Island (which is adjacent to Florese Indonesia). The purposed built dive vessel will carry you there on a day trip that includes diving, fishing, water skiing, snorkelling and a fantastic lunch. Go ashore and visit some of the islands inhabitants and see the local fisher men repairing a net or carving a spear. Com Dive Centre located in the Eastern End of the Island offers divers the chance to see Jako Island and Tutulala beach. Once South East Asia’s most remote destinations, now one of the easiest to visit. Experience spectacular untouched reefs with an abundance of marine life. An under water photographers dream! Located in Com Beach Resort, one of Timor Leste’s more luxurious resorts, allow the relaxed atmosphere to soak in and your trouble will disappear. The FreeFlow will create a customized travel package to introduce you to this fascinating new dive destination. We offer luxury dive safaris, exploratory diving and specialist trips. Malo is waiting to take you under. With a wealth of experience diving in East Timor and an emphasis on challenging, safe dives Malo looks forward to seeing you soon. MegaTours will take you on the travel adventure of a lifetime, through the unique traditional villages and unspoiled natural environments of Timor Leste. Let MegaTours show you the secrets of this beautiful country. Please read our feature Trip for more information. South East Asia’s largest adventure travel company organises 15 day tours around Timor Leste. Visit Dili, Suai, Bacau and Los Palos while learning from the local people about their history, culture, traditional ways and developement plans. Merpati Airlines flies seven times a week from Denpasar (Bali), Indonesia to Dili. Air North flies 2-3 times a day from Darwin, Australia to Dili.